A Non-Banking Financial Company (NBFC) is a company which is registered under the Companies Act, 1956 /2013. 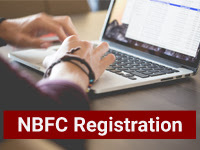 An NBFC is engaged in the business of loans and advances, investment share, assets financing, debenture or other marketable securities, leasing, hire-purchase and insurance business. NBFCs provide working capital loan and credit facilities to invest in properties. The following paragraphs explain about the aspects of merger and demerger of NBFCs. 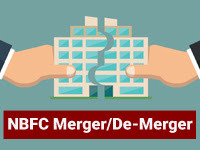 A merger is a deal to combine or unite two or more existing companies into a new NBFC. Merger is a corporate strategy to enhance the operational and financial strengths of the merging NBFCs. Acquiring company is a single existing company that purchases the majority of equity shares of one or more companies. Acquired companies are those companies that surrender the majority of their equity shares to an acquiring company. Economy of scale – Increases loan size of the NBFC, and can reduce the administrative cost. Mergers of NBFC can help in growing and competing with the government and MNC Banks and later can move forward with a Bank License. 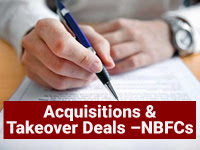 The merger of NBFCs allows the acquirer to avoid many of the costly as well as time-consuming aspects of asset purchases, software development, such as the assignment of leases and bulk-sales notifications. Accomplish tax-free status for both parties. The merger of NBFC can also help to compete with the Banks. Increase goodwill and reduce NPA. The larger scale of merged NBFC business may create challenges in operational management. It may increase the amount of NPA & operating Risk. Management challenges- Managers need to decide as to who will be in charge after they join forces. Sign the MOU and get approval from Board of Directors. Seek Consent from Bank concerned for the proposed merger/ amalgamation. Prepare KYC Documents of Directors & Companies. Seek RBI Approval for proposed Merger of NBFCs. Issue Public notice after RBI Approval. File an Application to National Company Law Tribunal under Section 230-233 of Companies Act, 2013 seeking the order for mergers or amalgamations with other companies or NBFCs. The resulting company issues, in consideration of the demerger, its shares to the shareholders of the demerged company on a proportionate basis (except where the resulting company itself is a shareholder of the demerged company). The shareholders holding not less than 3/4th in value of shares in the demerged company (other than shares already held therein immediately before the demerger, or by a nominee for, the resulting company or, its subsidiary) become shareholders of the resulting company or companies by virtue of the demerger; otherwise than as a result of the acquisition of the property or assets of the demerged or any undertaking thereof by the resulting company.